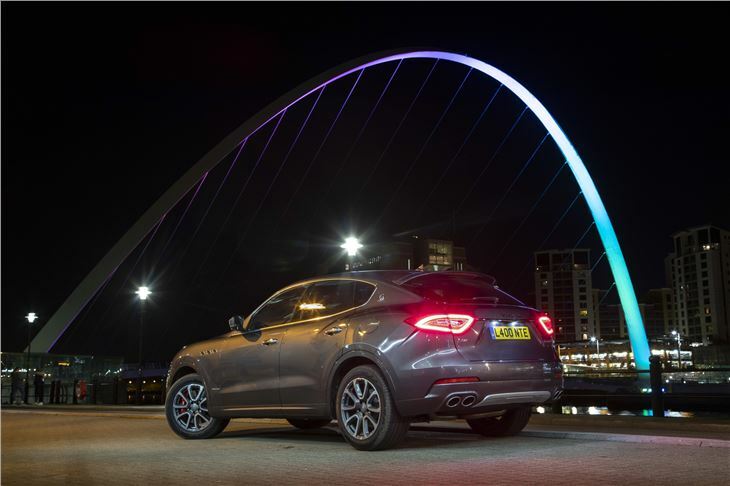 It’s only been a couple of years since Maserati did its first big, posh SUV - now expected of even the most overtly racy car manufacturers ever since the Porsche Cayenne opened the floodgates. 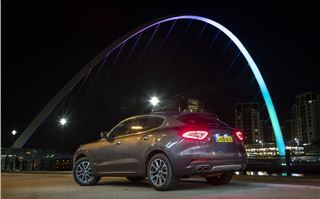 Of course, the Levante immediately became Maserati’s best-selling car by some distance; about six of every ten Maserati cars sold today is SUV shaped. 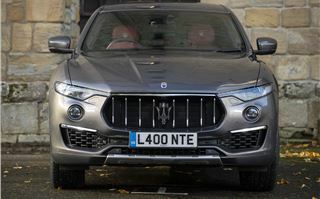 And because Maserati’s highly exotic, Ferrari-lite reputation precedes it, it never really mattered that the Levante was launched with some gaping chinks in its armour. Like how you could only have a diesel at first, and then the petrol that followed – a Ferrari-built 3.0 V6, no less – was a good £14,000 leap up in price. 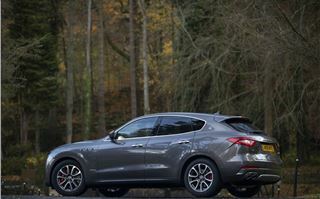 Well, what we have here is the 2019 Levante update. It’s not a mid-life facelift, but it does make some minor improvements and, most notably, adds a new 3.0 V6 petrol base model with 350PS and a £61,500 price tag. That’s around £3,000 more than the diesel but a good ten grand less than the 430PS V6 S. And it’s still built by Ferrari. That’s the one we’re driving here. First though, the minor improvements. There’s a redesigned gearshift lever with “shorter travel and improved operation.” Quite. Then there’s a new set of colour, interior trim and wheel options, plus some (optional) adaptive LED matrix headlights, and a new version called Nerissimo, which must mean ‘black’ in Italian because it looks very black. 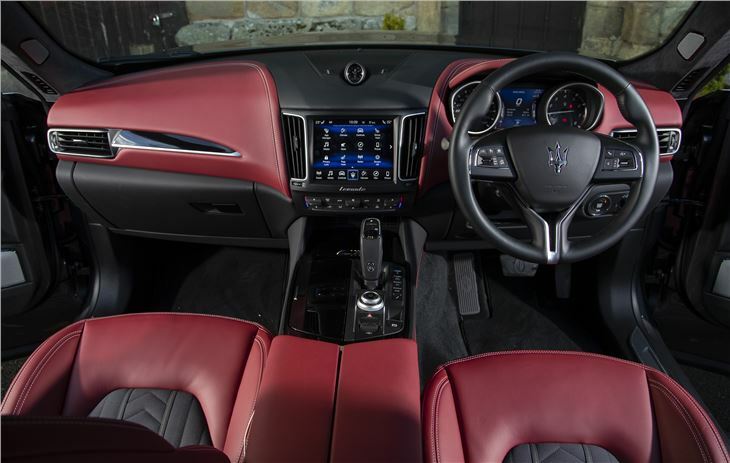 One fairly major change, though, is that Maserati has ditched the Levante’s hydraulic steering setup for a fully electric one, to facilitate the addition of safety features including lane keep assist and autonomous motorway steering. This, you may know, is anathema to ‘pure’ steering feel and the sort of thing that upsets serious driver types. For that reason, Maserati claims it’s only now chosen to go full electric because the system has the requisite 'natural' sportiness, which it presumably didn't way back in 2016. 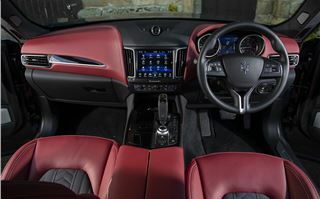 The nth degrees of steering feel are not the main issue when behind the wheel of the Levante, rather the way it rides. All Levantes come with adjustable air suspension, all-wheel drive (they do work off road, we're assured), torque vectoring, ride height adjustment and a proper mechanical rear limited slip differential. In theory, then, this could be all things to all people; a number of SUV manufacturers, from Porsche to Peugeot, have proven that an SUV can handle with genuine feel and dynamism, but also be quite comfy. 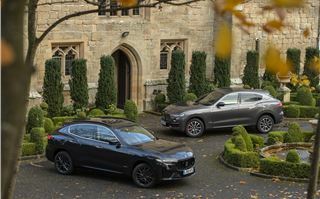 The Levante is neither a Range Rover in the comfort department, nor a Cayenne in the handling one. Instead, it sits in a middle ground of fidgetiness that, while never uncomfortable as such, doesn’t serve up the wafting, imperialistic comfort you’d expect of a proper luxury 4x4. Similarly the handling, which does the right things in terms of sharpness and grip – lots of both, basically – but without ever being that enjoyable. 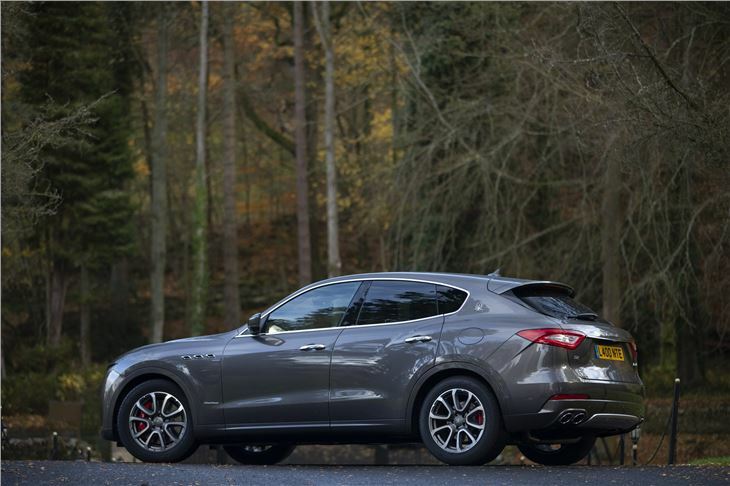 The Levante might be light-ish, for a massive SUV, but it still feels like a bulky thing sitting on big wheels and fairly elastic suspension. Added to that, the eight speed auto has a strangely polar set of characteristics. In comfort mode it’s reticent to shift, keeping the V6 in the lower rev range where it’s really not at its best - despite being a twin-turbo with 500Nm of torque from just 1750rpm. In sport mode, opposingly, it holds gear for too long, so unless you’re going full tilt it’s just not that pleasant. That said, in the fine aural tradition of Maserati this is a great sounding engine, especially in sport mode when the exhaust flap opens. It's incongrous coming from an SUV, and all the more enjoyable for that. Thing is though, ask yourself if that sound is worth the 23.5mpg rating (ie. teens, in reality) and the tax implication of 278g/km CO2, when the diesel will give you 39.2mpg and 600Nm with its clatter. And, in opposition to standard pricing convention, the diesel is a bit cheaper to buy too. 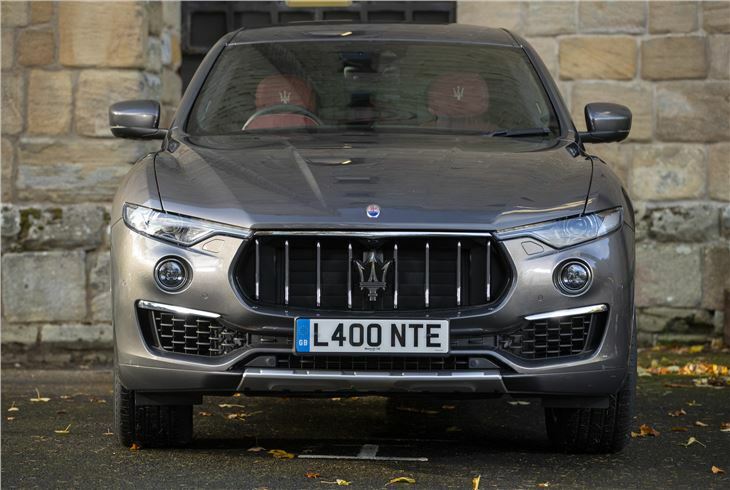 Elsewhere, it’s Levante as usual, which means an exotic, if slightly bulbous, exterior and a pleasant enough cabin, albeit one that doesn’t feel like it has the deep-seated quality of something German. It also has awkwardly offset pedal placement, even without a clutch to consider, because a big fat transmisison tunnel encroaches into the footwell. You hardly ever see that these days. 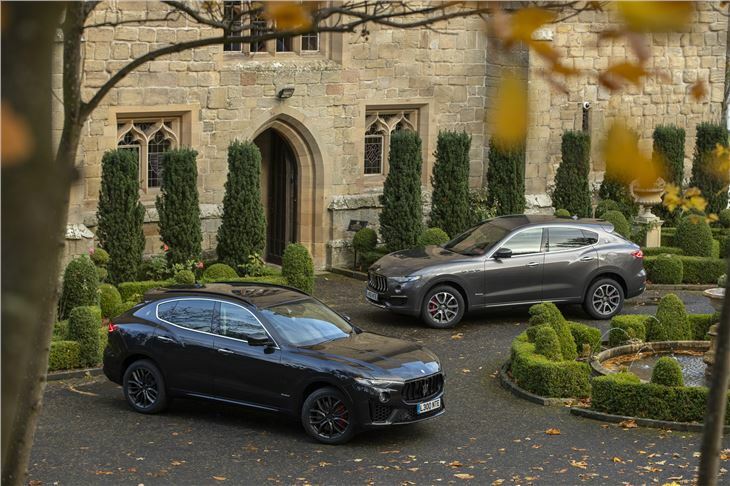 Well-equipped though, with an unusually simple range hierarchy comprising three: Levante, Levante Granlusso and Levante Gransport, the latter pair denoting a more luxurious or more dynamic feel respectively. 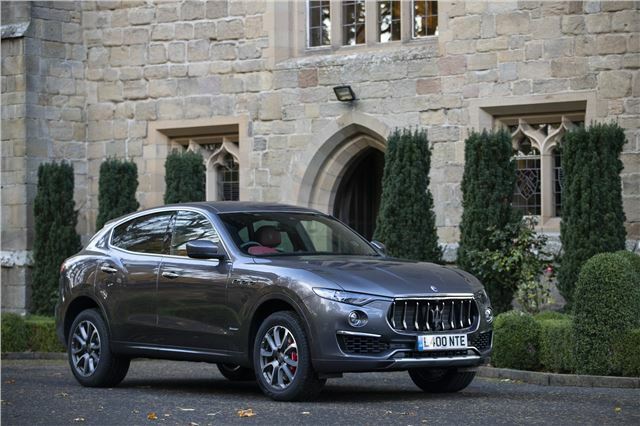 But after all, the Levante remains a car that you buy because you like the idea of a big, spacious Maserati - as close as you can come to a Ferrari SUV, if you like. For now anyway. So you might as well live with its flaws and get it as cost effectively as possible - the base model does the job. Porsche SUVs drive better, Land Rover’s products are more comfortable and, we’re almost sad to say, an Audi Q7 or Q8 simply does everything better than this.